Numbers are a reality check for a city. Antidotes to both rosy claims of progress and grim tales of woe, they demand to be noticed and analyzed. 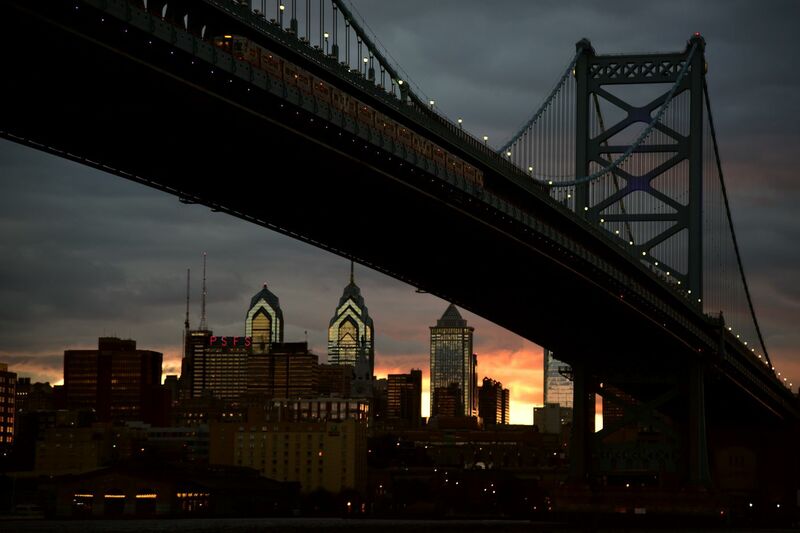 For a decade now, through an annual “State of the City” report, the Pew Charitable Trusts has gathered and assessed the numbers that provide insight into life, work, and the economy in Philadelphia. When we published our first report in 2009, Philadelphia saw itself as a place still mired in decline, having endured a discouraging half-century of jobs disappearing, families leaving for the suburbs, and the poverty rate rising. Some positive changes were already starting to happen. But many hadn’t yet shown up in the data, and hardly any had penetrated the city’s collective psyche. Today, the city’s persistent problems, many of them linked to a chronically high poverty rate, have far from disappeared. Some have deepened. But Philadelphians have slowly become accustomed to the idea that good things can happen here. Yes, relative to the likes of New York, Boston, and Washington, Philadelphia has been anything but a boomtown over the last 10 years. But compared with its own past, it has done rather well. The city continues to grow, as it has for over a decade, and it has become a place where people with no ties to the region often choose to live. From 2006 through 2017, the population increased by 92,000, or 6.2 percent. Philadelphia neighborhoods have been invigorated by young adults and new arrivals from around the globe, many of whom look at the city and see possibilities rather than liabilities. But the growth has been concentrated in and around the center of the city and a few pockets of the Northeast. In large swaths of North, Northwest, and West Philadelphia, the population has been declining or has stayed about the same. And the data show that the contrasts between neighborhoods that are thriving and those that are faltering are as dramatic as ever, in terms of income, education, housing prices, and public safety. While millennials got much of the credit for the early stages of the city’s recent population growth, immigrants have established themselves as the bigger part of the story in recent years. The number of foreign-born Philadelphians has jumped by a remarkable 69 percent since 2000; the city now has its highest share of immigrants since the middle of the last century, when Philadelphia was a manufacturing center with more than two million residents. In fact, more than a quarter of all Philadelphians today are either immigrants or U.S. natives with immigrant parents. Construction has thrived, with the annual number of residential building permits more than tripling since 2009. Home sales have risen every year since 2011. Some neighborhoods are now facing challenges that stem from newfound prosperity, challenges that seemed unimaginable not so long ago. And the city, which had a well-earned reputation for lagging behind the nation as a whole on job creation, seems to have figured out how to keep pace with it, and sometimes do even better. This is good news, but it means that the city has only now managed to get its job total back to where it was in 1991. Another startling change has been in the city’s approach to incarceration. There were days 10 years ago when nearly 10,000 individuals were held in Philadelphia jails, most of them on a pretrial basis — creating one of the highest per capita jail populations in the country. Last year, the average daily incarcerated population was little more than 5,000, perhaps the most dramatic sign of a broad attempt by the city to reshape its criminal justice system. And as the jail population has fallen, the crime rate has continued a gradual, decade-long decline, despite being marred since 2014 by a troubling increase in homicides. Then there are opioids. A decade ago, hardly anyone of prominence in Philadelphia talked about them, even though the city was recording more than 400 deaths per year from drug overdoses. Today, the annual death total has nearly tripled, the city has one of the highest drug death rates in the country, and the situation is recognized as a crisis. Yet even with all that has changed, there is no avoiding what has not changed: the overwhelming role that poverty plays in the Philadelphia story. Ten years ago, heading into the Great Recession, Philadelphia had a poverty rate of 24 percent. At last count, the figure was 26 percent, where it has been stuck for the last five years at a time when the rate has dropped in other cities. Saying that nearly 400,000 Philadelphians struggle each day with life below the poverty line, staggering as that figure is, understates the magnitude of the problem, because a 26 percent poverty rate affects nearly everyone. It increases the demand for government services, limits the tax revenue available to support those services, and weighs on the economic performance of the city and the region. Our 2019 report paints a picture of a city that has made real progress in a decade. But until the poverty numbers fall, they will remain, as they have for years, the backdrop against which other indicators of the state of the city are to be judged. Larry Eichel is the project director of the Pew Charitable Trusts’ Philadelphia research initiative. Its 2019 “State of the City” report can be found at pewtrusts.org/stateofthecity2019, along with interactive content that explores how Philadelphia has changed over the last decade.